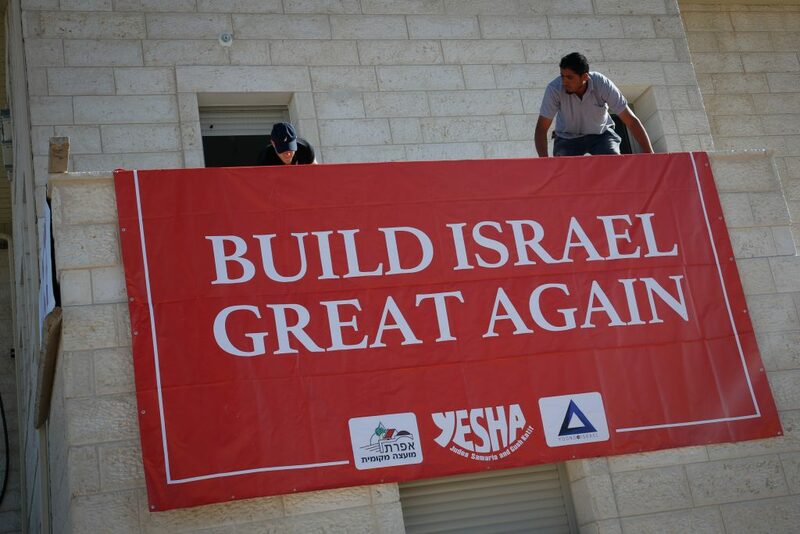 An Israeli demographic report on Tuesday said the number of people living in Yehudah and Shomron surged at a much faster rate than the overall population last year and predicted even more rapid growth, thanks to the policies of the Trump administration. Baruch Gordon, director of West Bank Jewish Population Stats, said the White House has created a much friendlier environment, clearing the way for more construction in the coming years. Gordon’s project conducts an annual study of official population data obtained from the Israeli Interior Ministry. The report is sponsored by “Bet El Institutions,” that has ties to some of President Donald Trump’s closest Mideast advisers. The latest data shows the Jewish population in Yehudah and Shomron grew to 449,508 as of Jan. 1, up 3.3 percent from 435,159 people a year earlier. The data showed robust growth across the board, from large towns located near Israeli population centers to isolated communities deep inside Yehudah and Shomron. Gordon cited several reasons for the rapid growth. An estimated two-thirds of the population in question are religious Jews, who tend to have larger families. In addition, he said the cheap costs of housing have lured many young families that cannot afford homes in Israel proper. But he also said the Trump administration’s attitude is also having an effect. President Barack Obama, like a string of Republican and Democratic predecessors, opposed the regional building as obstacles to peace and put heavy pressure on Israel to halt construction. The figures did not include data for east Yerushalayim, where well over 200,000 Israeli Jews now live. Nabil Abu Rdeneh, spokesman for Palestinian Authority President Mahmoud Abbas, called the growth in the population a “direct result” of U.S. policy. A U.S. Embassy official said Trump has made his position on the matter “clear” and has received Israeli pledges to take his concerns into consideration. The report echoed separate findings by Peace Now, a left-wing NGO that said last month Israel has pushed forward plans for thousands of new communities in the region since Trump took office. It also predicted a huge increase in construction in the next few years. Gordon said the latest data should put an end to the international community’s longstanding support for a two-state solution.